Color GigE astronomy camera without IR cut filter. 1/1.8 " CMOS Pregius, Sony IMX265LQ (progressive scan). Resolution 2048 x 1536 pixels (3.1 MP). Up to 36 FPS and 4 seconds exposure. For visualization applications, it does not make sense to view the RAW image stream from the CMOS Pregius chip. It must be interpolated, before it may be viewed or saved in common formats. IC Capture.AS perform color interpolation, thus reducing the load on the DBK 33GX265e.AS's processor. Should, on the other hand, you prefer that the camera itself performs color interpolation, you can select the appropriate option in IC Capture.AS. This enables the transfer of data to reach the camera's maximum of 36 FPS. Finally, if you do not require color interpolation at all, you can turn it off completely and the image stream is written to disk in RAW format. The DBK 33GX265e.AS ships with the color Sony IMX265LQ progressive scan CMOS Pregius chip. 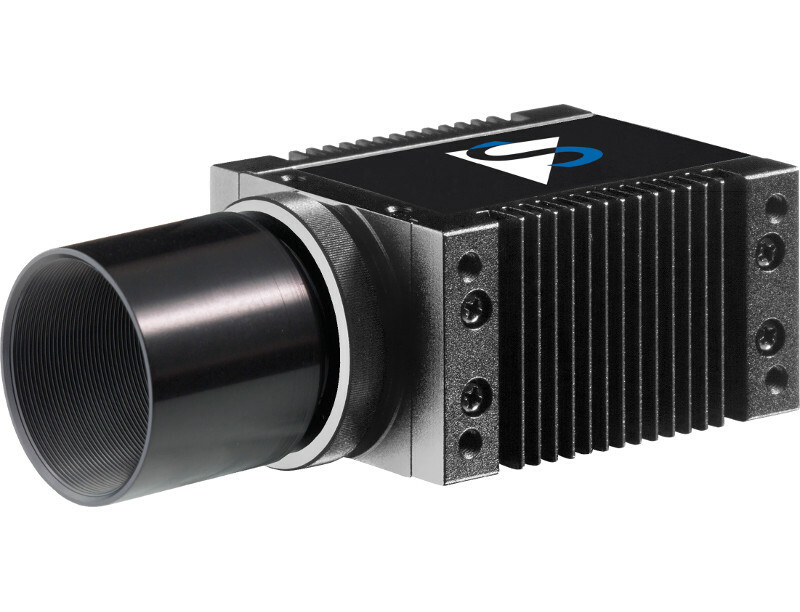 With its 1/1.8 " format, the CMOS Pregius chip produces a resolution of 2048 x 1536 pixels. Thanks to this extremely high quality, the Sony IMX265LQ CMOS Pregius chip is also often used in other scientific, industrial and medical image processing applications. The DBK 33GX265e.AS does not compress the video stream it outputs - the video data that is captured by the CMOS Pregius chip is outputted directly by the GigE connector. Similarly, the camera does not have an IR cut filter, a color filter, nor an other kind of electronic filter. The camera is, therefore, ideally suited to capturing very true-to-life images of the night sky. In order to transfer the vast amount of data created by the stream of uncompressed and lossless color images to the host PC, you need a very high speed bus. Hence, the DBK 33GX265e.AS is fitted with a fast GigE connector. The DBK 33GX265e.AS ships with the device driver IC WDM GIGE TIS and the camera control and image acquisition application IC Capture.AS. Both of these run on Windows 10, Windows 7, Windows Vista and Windows XP (32 and 64 bit).